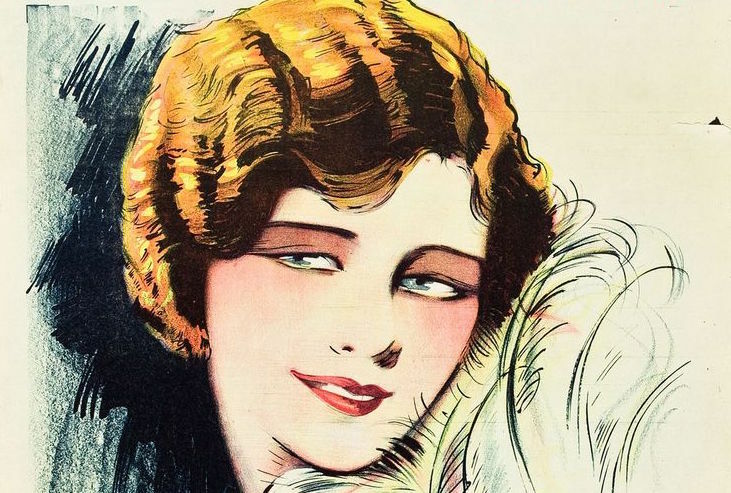 From the poster for The College Widow, 1927. In school she had the name of being fast, which was based partly on her clothes and partly on the direct stare of her reddish-brown eyes, very wide open and rounded by the thick lenses of her glasses so that the whites had the look of boiled eggs. She made me think of a college widow. Now, there’s a term you don’t hear anymore! The “college widow”! Once a byword for a predatory vamp, the college widow is an extinct American species. In the Marx Brothers classic Horse Feathers—many a modern viewer’s only exposure to the trope—the college widow is just sort of there, without explanation. (But then, it is a Marx Brothers movie.) Horse Feathers was in fact a parody of the play (and subsequent 1927 film) The College Widow, about a college president’s daughter—played by Drew Barrymore’s grandmother, Dolores Costello—who seduces rival schools’ football stars at her father’s behest. It’s as creepy as it sounds. Filmmakers had to assure us that our heroes were healthy, red-blooded American men, who would never resort to all that Brideshead Revisited stuff that was rumored to go on at many an all-male campus. Obviously in the 1910s–1940s (the heyday of this trope), prostitution couldn’t be depicted on screen, so our protagonists couldn’t get their kicks that way. Once the Hays Code came into effect, adulterers must be punished. And for a hero to seduce an unmarried young woman would be caddish. So the college widow served as an effective outlet for all of our heroes’ wants and needs (and those of the writer): it proved the protagonist was straight, sexually desirous and desirable, and yet still a gentleman. Of course, the trope began to be played for laughs even more often than it was played straight, in movies like Horse Feathers. With the rise of co-education and the fall of the production code, the college widow found herself expelled from campus in favor of flirtatious co-eds. She taught the boys anatomy. To know her is to love her, it’s sure. She’s Mimi the college … widow.